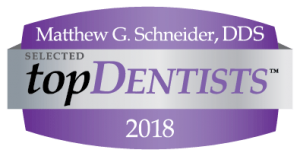 Located in the heart of Dublin, Schneider Family Dental would be honored to welcome you to our practice. We make it easy to improve your dental health and hope to prove it to you during your time as our patient! For your convenience, Schneider Family Dental offers an open payment plan. 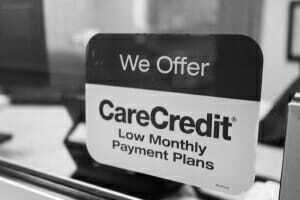 We have partnered with CareCredit. This partnership allows us to offer 6 to 12-month interest-free financing or payment plans extending as much as 5 years. If you would like to reach out to schedule an appointment or talk about the services we offer, don’t hesitate to give us a call today at (614) 889-2211. Your first visit to our offices will mainly be an assessment of your oral health. You can expect warm smiles, professionalism, and use of industry-leading technologies. We’ll discuss your medical history and confirm that your current medical conditions will not conflict with potential dental treatment. You will be given a thorough examination by Dr. Matt and one of our hygienists. This will likely include digital 3D x-ray imaging, an oral cancer screening, and a periodontal exam along industry standard guidelines. We place great emphasis on keeping our patients informed and will use intraoral cameras which allow us to project an image of an individual tooth or area of concern onto a chair-side viewing monitor for use as a visual aid. Everything will be explained to you with the utmost care to ensure you are fully aware of your oral condition. Please bring any insurance information and your insurance card so we can contact your provider and process any claims. Please bring a list of any medications you are presently taking. For any patient under 18 at the time of the visit, a parent or guardian will need to be present. A guardian or agent will also need to be present for special needs patients. We need to be alerted immediately if you have a condition that may impact any procedures or medications that we may perform or prescribe.